NASDAQ-listed NetApp has officially announced the appointment of Heoh Chin Fah (pic) as country manager for NetApp Malaysia and Brunei. He will lead the company’s strategic planning, business development, marketing, and operations activities in both countries, and will report directly to Weera Areeratanasak, managing director for Malaysia, Indonesia and Thailand. Heoh will also look to maintain and grow the current NetApp install base, strengthen and improve the quality of service to customers, the company said in a statement. Data is growing exponentially in Asia and around the world, with businesses looking for more efficient ways to make use of their data. Heoh will lead NetApp’s Data Fabric vision, which the company claims is the future of data management. Data Fabric seamlessly connects different data management environments into a cohesive, integrated whole, eliminating much of the complexity and risk associated with managing data in the hybrid cloud, NetApp said. “NetApp’s Data Fabric vision offers businesses, especially in Malaysia, a cohesive solution that increases efficiency, improves IT responsiveness, and accelerates innovation through the ability to control, integrate and consistently manage data across a variety of hybrid clouds,” said Heoh. 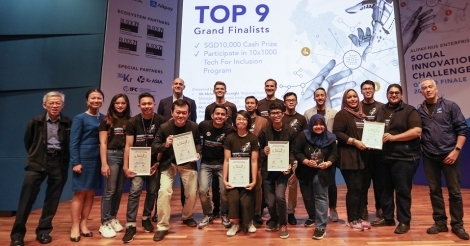 “As more Malaysian businesses turn to the cloud for better efficiencies, NetApp is in the pole position to aid their transition with our innovative products and technologies that underpin the foundation of cloud deployments today,” he added. A 20-year veteran of the IT industry, Heoh was business development director of Interica Asia prior to joining NetApp. He had held various technology and business roles in Sun Microsystems, EMC and Hitachi Data Systems. In 2000, he was the pioneer employee of NetApp Malaysia and moved on to lead the global implementation team for the Shell IT GUSto (Global Unified Storage) project in Houston, Amsterdam and Cyberjaya for HDS in 2006. He also founded the Storage Networking Academy in 2009, an independent storage technology architect and consulting firm working with Symantec-Veritas, NetApp and EMC in the Asia Pacific region. In addition, he is also a founding member and the chairman of Storage Networking Industry Association (SNIA) Malaysia, an industry body responsible for advancing storage networking and information management technologies, standards and specifications, as well as education and certifications. “We welcome [Heoh] Chin Fah to our NetApp Asean team, and we look forward to him leading the business in Malaysia and Brunei,” said Areeratanasak.